TSMC to supply Apple with 16nm FinFET chips for ‘breakthrough’ product? 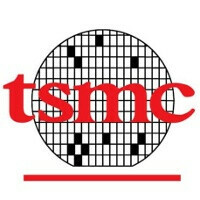 We’ve already heard rumors that TSMC has sampling 28nm chips for Apple, but now we are hearing even more interesting whispers, this time for TSMC’s upcoming 20nm and 16nm manufacturing nodes. DigiTimes Research analyst Nobunaga Chai expects the foundry to make an integrated AP/GPU chip for Apple at 20nm, but what’s most interesting are the cited expectations for TSMC to supply Cupertino with 16nm FinFET chips for an upcoming “breakthrough” product. What would that be? Pure mystery. Now, interestingly, while TSMC is first expected to deliver 28nm chips to Apple, this will allegedly not happen in 2013 as previously said. The foundry is expected to start mass manufacturing of 20nm chips around the end of 2013 and beginning of 2014. It should follow up with 16nm FinFET even quicker, in less than a year. That's because the software and hardware work so well together for that buttery smooth experience the iPhone is known for. Lol, that's true... Too bad, no one laughs at his jokes, cause they are too fruity. Yes that has happened n the past. well, if you tried 2.3 and stopped there, then you behind the times...funny thing is that I never had that problem on my DROID RAZR or Captivate...of course, I know what I am doing. Innovation is key which is Apple's specialty. Oh, you superdelusional iFan... Do you even realize the chips are being made by TSMC?? For your info, Qualcomm leading mobile phone chipsets designer does not make (fabricate) their chips. Mxyzptlk obviously you and I have different definitions of what innovation means. Improving on an existing product or buying another company out is not innovation. Its either some new "I" device with improved specs or could be Apple is developing a Google Glasses competitor. actually it is innovation... look it up "Improving on an existing product"
gallitoking forgive me for not being clear enough in my original post. What i meant was SLIGHT improvements such as making a phone with a larger screen or adding 4G are not innovative but you are correct they are an improvements to an existing product. And yet Android rules. Surprising isn't it? Funny you leave out HTC and Samsung...HTC phones had many firsts for phones. Samsung and their screens....are not innovation? Yea...Samsung makes screens....that other manufactures use. Your fanboyism is showing.